What does it mean to feel full? Really and truly? So often, our lives can be “full” of so many things, but never truly full. Sometimes there are days when I wonder what God’s will for me is…how He’s using me in His plan. Sometimes I feel empty…like my life is far too simple. Yet, it is in those times that I turn to God, and He fills me up. He shows me His presence in even the smallest things, and I realize that it really doesn’t matter if He’s using me. My life, after all, is not mine. It’s His. The only way He can use me, is by letting go of all of me and letting Him be all that I am. It is then that I find that I am full…full with all of Him. Yes, yes, yes…I love this! 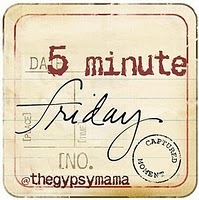 BTW, I love the premise of your blog and am a new follower!